The Big Ten is Now the Big Twelve, But Still The Big Ten. But now with Twelve. Please welcome, the Huskers from Nebraska. July 1, 2011. From this day forth, the Big Ten now stands twelve schools proud. But it will still be called the "Big Ten". We also now have two divisions, "Legends" and "Leaders". However, from this day forward, we will be referring to these divisions as "Bo" and "Woody". Why? Because that's a much easier way to remember which division has the school you care about. We'll take a closer look at this schedule in a later post, but first impressions are that Nebraska is going to be welcomed into the league with a monster schedule...probably the toughest in the conference. Not only do they get all the Bo teams, which are pretty strong this year, but the Woody games are against the three toughest squads in that division...with trips to Madison and Happy Valley. Ouch. It's going to be a great year to be a Big Ten fan. Park Ridge, Ill. — The University of Nebraska-Lincoln (UNL) became an official member of the Big Ten Conference today, increasing the Big Ten’s membership to 12 institutions for the first time in conference history. The addition of Nebraska marks the Big Ten’s first expansion since Penn State University joined the conference in June of 1990. On June 11, 2010, the Big Ten Council of Presidents/Chancellors announced unanimous approval of the University of Nebraska’s application to join the conference effective July 1, 2011, with competition to begin in all sports for the 2011-12 academic year. UNL has already been granted admission into the Committee on Institutional Cooperation, a consortium of the Big Ten universities and the University of Chicago. These world-class research institutions have advanced their academic missions, generated unique opportunities for students and faculty and served the common good by sharing their expertise, leveraging campus resources and collaborating on innovative programs. Nebraska’s first Big Ten event as an official member of the conference will take place at the 2011 Football Media Days and 40th annual Kickoff Luncheon. This year’s event will be held on Thursday and Friday, July 28 and 29, at the Hyatt Regency McCormick Place and McCormick Place Convention Center in Chicago. The Big Ten Football Media Days and Kickoff Luncheon feature all 12 head coaches and some of the nation’s top returning players. 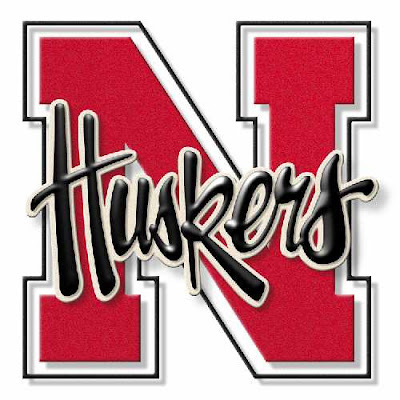 Nebraska’s first athletic competition as a member of the Big Ten Conference will take place on August 19, when the women’s soccer team hosts North Carolina. One week later, the Cornhuskers volleyball squad will open its first campaign as a Big Ten program against New Mexico State on August 26 in Albuquerque, N.M. The football team kicks off its first season as a Big Ten school on September 3 against Chattanooga. Nebraska’s cross country, golf and tennis teams will also begin competition in September. The Cornhuskers will open Big Ten competition in September, with the women’s soccer team hosting Northwestern on September 18 and the volleyball program welcoming defending national champion Penn State on September 21. Nebraska’s football program will open Big Ten competition with back-to-back games against two of the three teams that shared the conference title last season. The Cornhuskers will make their Big Ten debut at Wisconsin on October 1, followed by a home matchup against Ohio State at Memorial Stadium on October 8. Big Ten football teams will now play in two divisions: the Legends Division and the Leaders Division. The Cornhuskers are joined in the Legends Division by Iowa, Michigan, Michigan State, Minnesota and Northwestern. The Leaders Division is comprised of Illinois, Indiana, Ohio State, Penn State, Purdue and Wisconsin. The winners of each division will play in the inaugural Big Ten Football Championship Game, with the victor earning the Big Ten Championship and the conference’s automatic berth into the Rose Bowl Game or Bowl Championship Series National Championship Game. The 2011 Big Ten Football Championship Game will be played in prime time on December 3 at Lucas Oil Stadium in Indianapolis and will be televised by FOX Sports. Nebraska’s cross country teams will have the first opportunity to compete in a Big Ten Championship, as the Cornhuskers will take part in the 2011 Big Ten Cross Country Championships to be hosted by Illinois on Oct. 30. About the Big Ten Conference: The Big Ten Conference is an association of world-class universities whose member institutions share a common mission of research, graduate, professional and undergraduate teaching and public service. Founded in 1896, the Big Ten has sustained a comprehensive set of shared practices and policies that enforce the priority of academics in student-athletes’ lives and emphasize the values of integrity, fairness and competitiveness. With the addition of the University of Nebraska-Lincoln, the broad-based athletic programs of the 12 Big Ten institutions sponsor 298 teams competing for championships in 25 official conference sports, 12 for men and 13 for women. Big Ten universities provide in excess of $120 million in athletic scholarship aid to more than 9,500 men and women student-athletes. For more information, visit www.bigten.org.